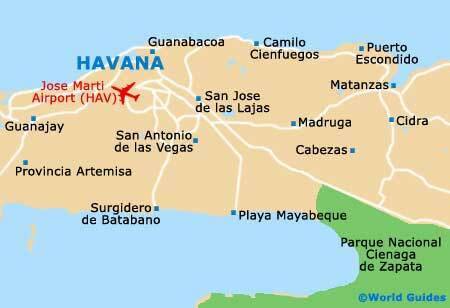 The charm of Havana is further enhanced by its extensive collection of museums and galleries. There are many cultural attractions spread around the city, with the majority residing in the most historic district, near the river. The Plaza de la Catedral and the Plaza de Armas both have a good complement of museums and the odd gallery. The 'museos' of Havana cover the history of the city and country well, including, of course, an examination of the events of the Revolution, which are documented and remembered at the Museum of the Revolution. Located on the Plaza de Armas, the Museum of the City (Museo de la Ciudad) is also very much of note and contains many Cuban treasures. The Museo de la Revolucion is housed in the former Presidential Palace, between the Calle Monserrate and the Calle Zulueta, in the old town, where it covers Cuba's history well, and in particular that of the Revolution. The Granma yacht, which was used by Fidel Castro, Che Guevara and revolutionaries to reach the island, is one of the main exhibits. Guided tours can be had throughout the day for an additional cost and are recommended. The Room of Mirrors (Salon de los Espejos) is especially noteworthy and was reputedly inspired by the Hall of Mirrors at the Palace of Versailles, in Paris. Others will enjoy looking at the Tiffany's decor and simply soaking up the undeniable extravagance. Havana's Museo de la Ciudad is in the old town and showcases the Spanish colonial past of the island. There are many impressive treasures and relics here, which were used by the Spanish powers of that era. The palace building is a fitting place for the museum, with its 18th-century Baroque-style architecture and opulent Throne Room. Notable exhibits include a Christopher Columbus statue carved from white marble, period furnishings, carriages from the 19th century and lots of Cuban militaria. The Museo de la Danza is situated within the Vedado part of Havana and is touted as being the only museum in the region that is solely devoted to dance. Exhibits in this beautiful colonial-style building include Cuban ballerinas, Russia dancers, and performers from both Mexico and Spain. Ballet diva Alicia Alonso is represented by some of her personal effects. The Museo Nacional de Historia Natural is filled with Cuban flora and fauna, and is to be found standing just across from the southern side of the Plaza de Armas, near to the harbourfront. Themed exhibits cover all manner of different aspects relating to natural history, such as archaeology, paleontology, anthropology, entomology and mineralogy. There are also numerous stuffed animals and birds displayed in glass cases. Situated within the Fundacion Havana Club, the Museo del Ron celebrates the country's rich rum-making heritage. Guided tours are available in English and other languages, and allow visitors to gain an insight into the antique equipment on display, which was once used to transform raw sugar cane into fine San Cristóbal de La Habana Rum. Learn how the barrels were made, how slaves were used, and how Cuba soon became an important exporter of rum. An onsite restaurant, bar and gift shop add to the attractions, although for many, it is the actual tasting of the rum that is the main highlight. A national Cuban attraction, the Museum of the Birthplace of Jose Marti resides on the outskirts of the Habana Viega area and is housed within a rather underwhelming building. However, it is within this very house that in 1853, Jose Julian Marti Perez was born. This famous figure from Cuban history is famous for his poetry and literature, as well as the part he played in the country's dream for independence against Spain. Although perhaps the title of 'museum' may be a little misleading, the Museo Chocolate is still very much worth looking out for. This is essentially a cafe and nothing short of heaven for chocoholics everywhere. Everything on the menu features chocolate in every way imaginable. Pull up a chair at one of the marble tables and enjoy a chocolate milkshake or hot chocolate, accompanied by a slice of delicious chocolate cake or maybe a plate of freshly made truffles.